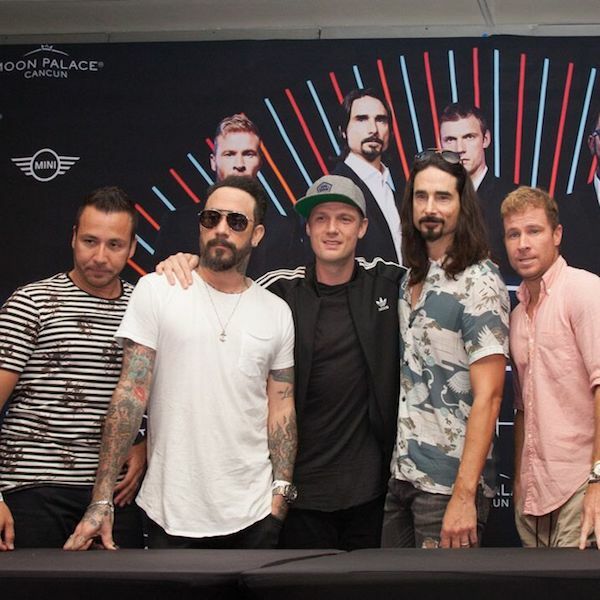 The most successful band in the history of pop music: the Backstreet Boys kicked-off their first international presentation after their successful residency in Las Vegas, on December 29 & 30th at the Moon Palace Arena. Nick Carter, Howie Dorough, Brian Littrell, AJ McLean and Kevin Richardson closed out 2017 in style! The band participated in a press conference with local, national and international press, before taking the stage at the Moon Palace Arena, a 140,000 square foot convention center, fully equipped with the latest technology and audiovisual equipment, which opened in 2014. The band opened up with one of their iconic songs “Larger than life,” taking everyone back bto the 90’s. Other hits included “Quit playing games with my heart” “Show me the meaning,” and their number one hit “Everybody” which were among the favorites. Each of the members added their own personality and style to the performance with customed outfits that replicated the originals from each music video created as well as their unique choreography that surpassed all expectations. Spotted in the audience were noteworthy celebrities such as former NSYNC band member, Joey Fatone and The Real Housewives of New Jersey’s own Teresa Guidice who enjoyed some quality time with daughter Gia.